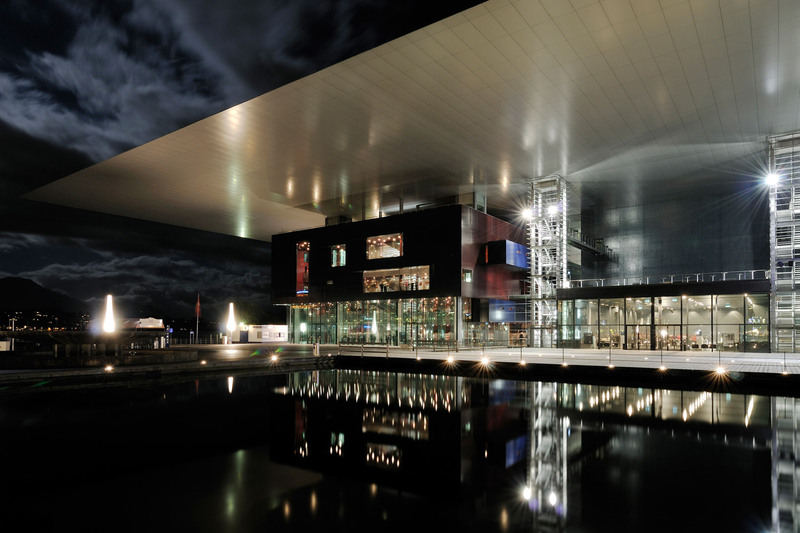 From its opening performance by the Berlin Philharmonic in August 1998, the KKL Luzern Concert Hall was recognized as one of the world’s great performance centers. An international landmark, both architecturally and culturally, the complex attracts music fans from around the world to its picturesque lakeside setting. 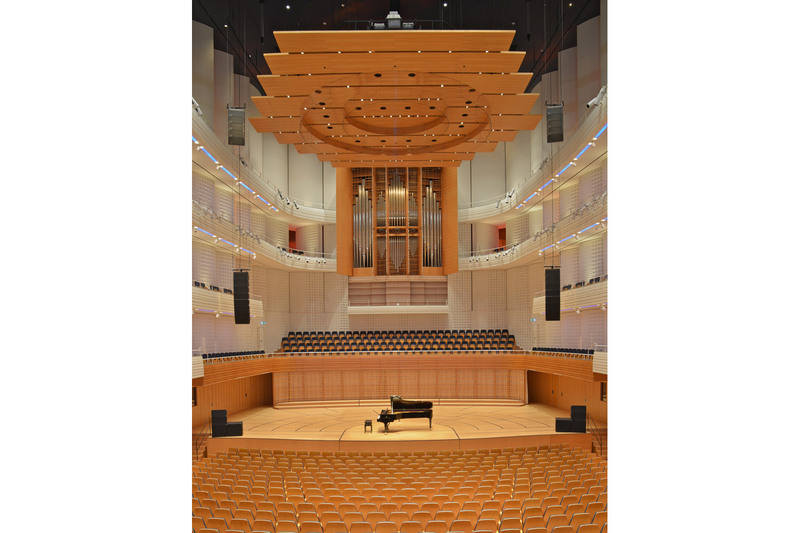 A dozen years of constant use – with an impressive yearly booking rate of more than 90% – coupled with significant technological advances prompted the KKL Luzern management group to upgrade its retractable electro acoustical system. WSDG, an international team of acoustics experts, was brought in to accomplish this essential project. 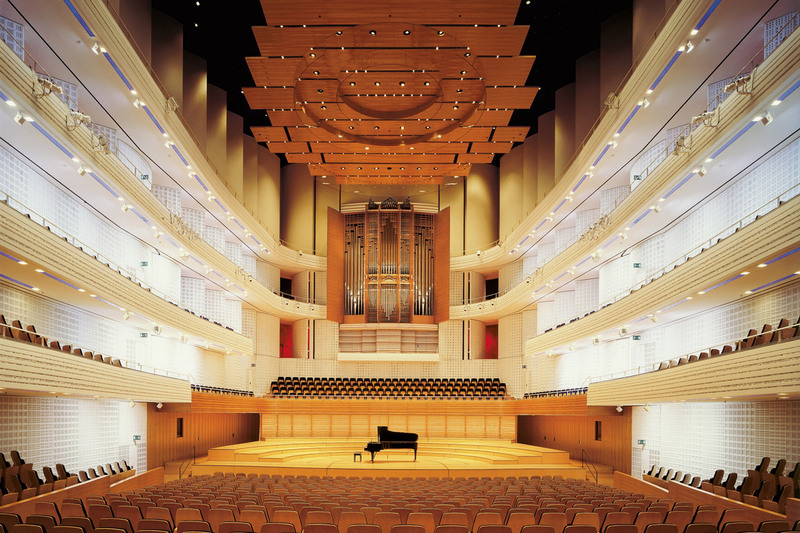 A major issue of this hall is the wide distribution of seats on five vertical levels surrounding three of the four walls, and consequently, the coverage requirements of the electroacoustical sound system. The core of the solution was the realization that the Hall is mainly designed for acoustical sources placed directly on stage. 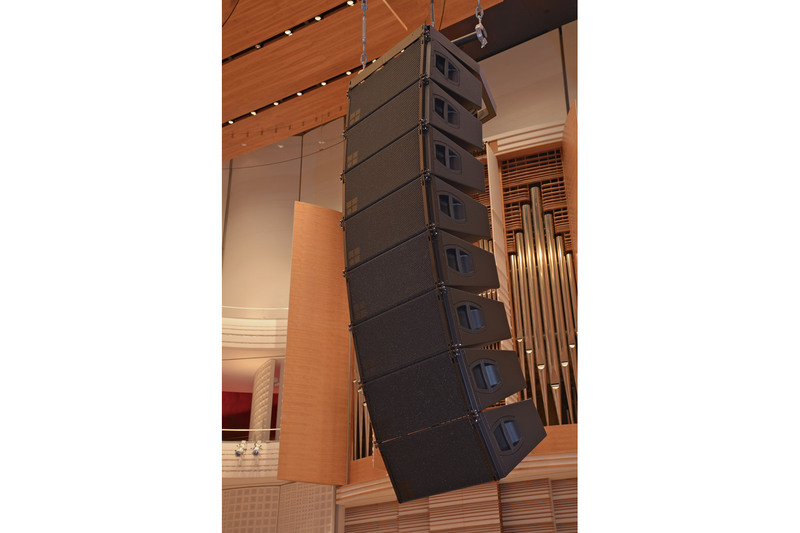 Consequently, the new main loudspeaker system was installed significantly lower and closer to the stage than the original system. The main system is supplemented by elements which are permanently installed but retractable by motors. The project was divided into three phases: 1) Identification of the requirements, system planning and preparation of specifications; 2) On-site evaluation of a three loudspeaker system candidates; 3) The execution phase of installation planning, supervision and commissioning. The new sound reinforcement system consists of the Left Right main system with two line arrays of eight d&b V12 units each, suspended above the stage front edge, two additional line arrays for covering each of the balconies with five d&b V12 units, a stage edge in-fill system consisting of two d&b V-Sub and two d&b V12 units each on the right and left and a stage mounted front-fill provided by six d&b E6 units. For events requiring a 360-degree speech reproduction a retractable center cluster was provided with a front section (consisting of eleven d&b T10 units) and a rear section (consisting of three RCF VSA 2050 digitally controlled column loudspeakers). All the line arrays are suspended and are equipped with their appropriate motor and cable winding mechanism. This allows the retraction of all loudspeaker arrays to a parking position above the canopy when not required for a performance.